I love watching how the beach changes with the weather and the tides. 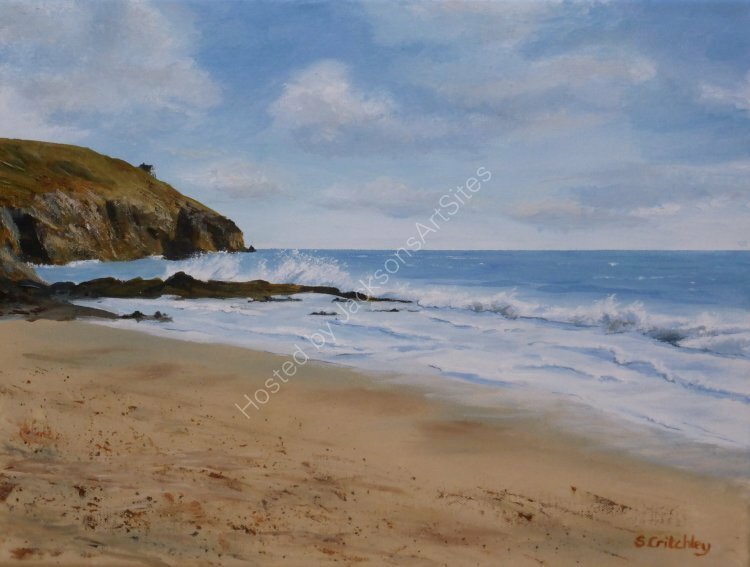 It was low water on this sunny afternoon revealing a string of rocks running down into the sea at the Hendra end of Praa Sands beach, causing the gentle swell to break dramatically as the northerly wind caught the tops of the waves. An original painting in acrylic on stretched canvas, 40 x 30 cm. Already with its new owner.